A cemetery is a holy place, most tombs are filled with crosses, statues of angelic beings, and other holy symbols. That is not always the case, in the Philippines, there is a statue of Satan winning over archangel Michael above the grave. The statue may be blasphemous for the most of the Philippine population (most Filipinos are Catholics). It turned out that Don Simeon Bernardo (the one on the grave below the statue) requested the construction of the statue before his death in 1934. He believed that evil has already taken over society. Don Simeon went through suffering in the hands of Spaniards because they accused him of being a revolutionary. 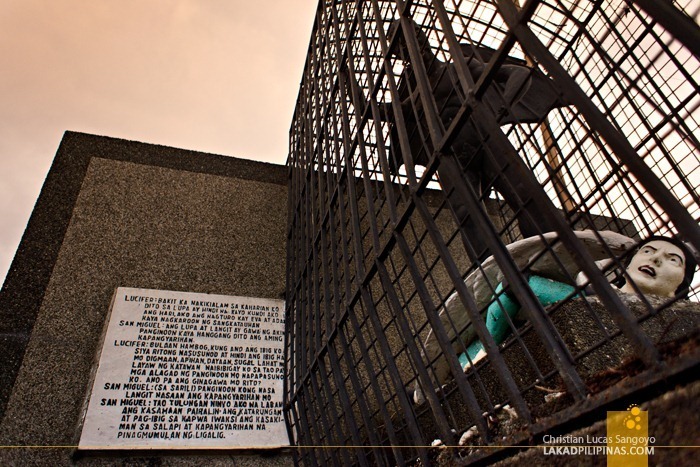 He was imprisoned in Fort Santiago and punished by ruthless torture. The punishment turned him into an atheist when he was released from Fort Santiago he shared his atheist beliefs to his children. 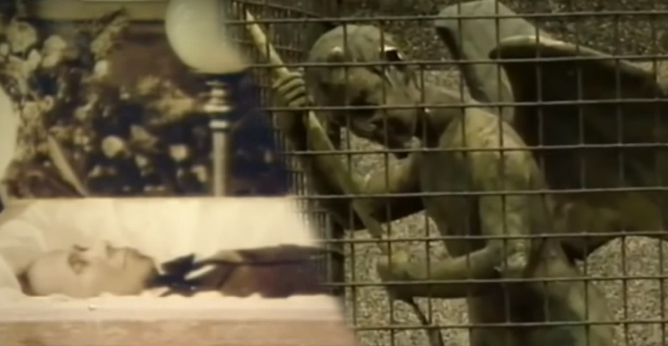 Before his death, he became a religious person once again and even he even wrote a conversation between Satan and Michael on the left of the statue. On the right of the statue, there is an image of Adam and Eve carved on a stone. Some Catholics who visit the cemetery accuse Don Simeon of being a Satanist, in fact, he is not. 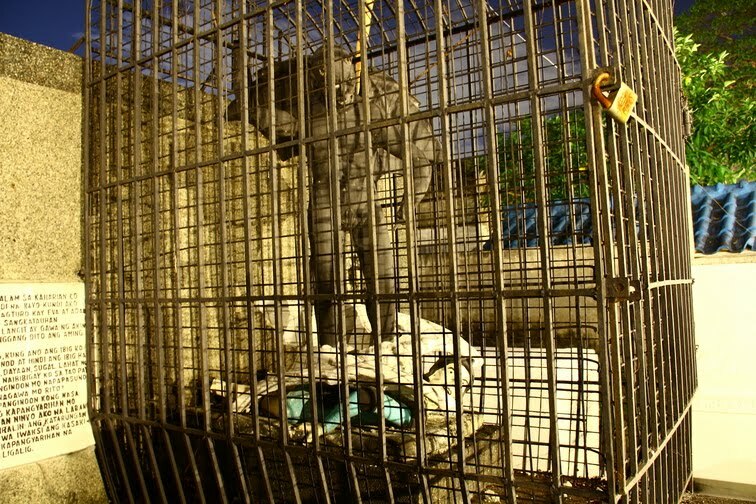 Several people have thrown stones on the statue that's why it is caged to prevent the statue from being cracked and damaged. Even though some people see the figures as blasphemous, the Bernardo clan still have plans to reverse the position of Satan and Michael. Only if the world has changed, and peace was prevalent, unlike the world that Don Simeon grew up to.